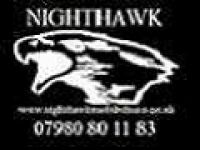 "A venue for people in Barnstaple and North Devon catering for wedding receptions, all types of family parties, charity events (including bingo and dance parties), corporate meetings etc. Just ask and we will see what we can do to help you!" All reviews are the subjective opinions of third parties and not of the website or its owners. Reviews are placed by members of the public that have held a function or event at Barnstaple Ex Service & Social Club (ex RBL). 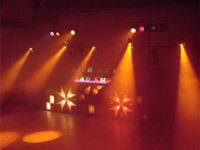 At needadisco.com we only accept reviews from confirmed clients that have booked a DJ to play at Barnstaple Ex Service & Social Club (ex RBL) via our website, with the arrangements independently verified by both the DJ and the client before the event takes place - no "fake reviews" here! Helpful information for DJs and entertainers visiting Barnstaple Ex Service & Social Club (ex RBL) provided by trusted members of needadisco.com. PARKING: There is private parking for venue if possible try and get near to the double fire exit door for unloading and loading. ACCESS: In through ramped double exit doors to skittle alley area then on into main function room ... stage area is far side of room so can be a little tricky if people already in. FACILITIES: About 50cm raised stage area which should accommodate most set ups for size of room, they also have some lighting effects set up around the venue. 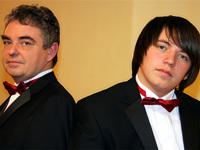 STAFF: Standard very nice staff as you would expect club also appeared very clean and tidy. ADDITIONAL COMMENTS: "First time at this venue and was made to feel welcome and club seemed to be well cared for and very clean." Information is based on enquiries and bookings handled via needadisco.com so whilst it's a great insight, if you have any questions or concerns about holding a function or event at Barnstaple Ex Service & Social Club (ex RBL) please contact the venue. Barnstaple Ex Service & Social Club (ex RBL) has previously been hired as a venue for private parties such as birthday celebrations, anniversaries, engagements etc. Barnstaple Ex Service & Social Club (ex RBL) has previously been hired as a venue for functions and events such as sports club social evenings, masonic events etc. Barnstaple Ex Service & Social Club (ex RBL) has previously been hired as a venue for corporate events such as works parties, product launches, prizegivings etc. Barnstaple Ex Service & Social Club (ex RBL) is in our Sports, Social & Members&apos; Clubs category. The map below shows other local venues in the same category. If you are contacting Barnstaple Ex Service & Social Club (ex RBL) about hosting an event, it's always a good idea to include the required DATE, EVENT TYPE, AGE GROUP and NUMBER OF GUESTS to speed things up! By completing this form you acknowledge our privacy statement and accept that we will send your message and contact details to the email address we currently hold on file for Barnstaple Ex Service & Social Club (ex RBL) with no guarantee as to its accuracy. Delivery is not assured. If you ask us to send an email message on your behalf to Barnstaple Ex Service & Social Club (ex RBL) in Barnstaple we will share your email address and, optionally if provided, your telephone number with the email address that we currently hold on file for this venue. We make no guarantee that the email address is current or accurate, and you accept this proviso when using the service. Unless we explain otherwise to you, we'll hold your personal information until the activity is completed, i.e. until we have forwarded your message to Barnstaple Ex Service & Social Club (ex RBL) or determined that it is SPAM. After this activity, your personal details will no longer be stored by us or shared with any other third parties.